Speed on over for one of the most exciting attractions on the beach perfect for the whole family! Broadway Grand Prix offers tracks for all skill levels. We feature seven unique go-kart tracks the entire family is sure to enjoy. Experience twisting and turning fun on the High Bank Oval Track, Fast Track, Family Track, Speed Racer, Kids Track, Junior Racer & Slick Track! 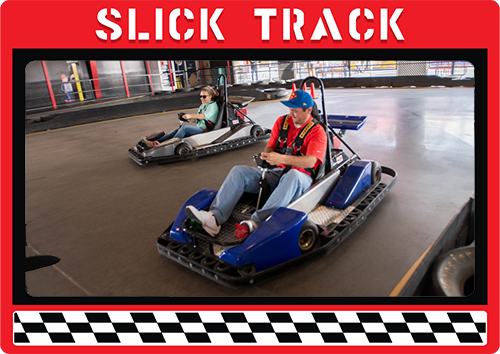 Test your skills on our fastest track! Speed through challenging sharp turns and race to a bracing finish on the Grand Prix Pro Track! This track features tough, tight turns and polished for slick, unexpected fun. Drivers must be at least 60” tall. 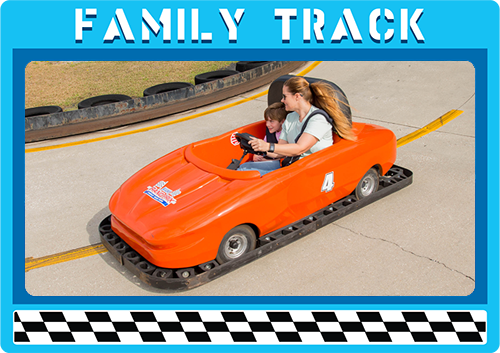 Head out to the Family Track where racers of all experience levels can enjoy this long course. Race alone or in doubles, this course features single and two seater karts. The High Bank Oval Track will sure get your competitive engines going! Be prepared for sharp turns and high banking. Time to floor it on this short, exciting track where the SPEED is turned up! Drivers must be at least 60″ tall. 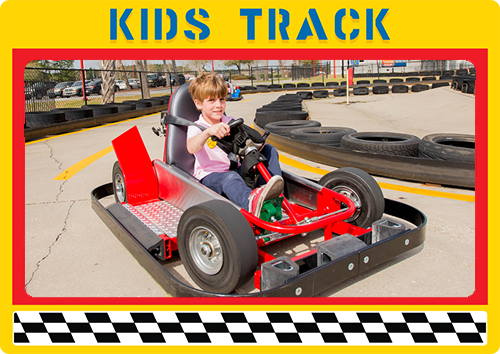 Underage driving is encouraged on this 200-foot track designed for beginners! Drivers must be at least 48” tall.